Turbolinux distributions are designed from the ground-up specifically for enterprise computing. Turbolinux 7 Server was the first-ever to conform to Internationalization standards to help simplify development of applications that require multiple language support - a critical requirement for software distributed globally. Turbolinux 7 Server also supports the Large File Support (LFS) standard for working with applications that manage or handle up to four terabytes of data - a common requirement for infrastructures serving Fortune 500 and larger companies. Such industrial-strength environments provide the basis upon which PowerCockpit and other Turbolinux innovations were created. Rate this project Red Hat has announced the availability of a development release for the company's Red Hat Enterprise Linux 6.x product series. The new development version, Red Hat Enterprise Linux 6.10 Beta, includes tools for migrating existing services into containers for migration to newer Red Hat platforms. The release announcement gives an overview of the new improvements to Red Hat's main product line: "With a focus on stability and security features that maintain hardware, application, and management tooling compatibility, Red Hat Enterprise Linux 6.10 Beta is designed to support the next generation of cloud-native applications through an updated Red Hat Enterprise Linux 6 base image. The Red Hat Enterprise Linux 6.10 Beta base image enables customers to migrate their existing Red Hat Enterprise Linux 6 workloads into container-based applications - suitable for deployment on Red Hat Enterprise Linux 7, Red Hat Enterprise Linux Atomic Host, and Red Hat OpenShift Container Platform. In addition, a Red Hat Enterprise Linux subscription gives our customers the freedom to choose which supported major release to deploy; therefore, existing customers may also elect to update their Red Hat Enterprise Linux 6 infrastructure to Red Hat Enterprise Linux 7 at any time, free of charge." Further information can be found in the company's release notes. Technical details for Red Hat Enterprise Linux 6.10 Beta can be found in the technical notes. 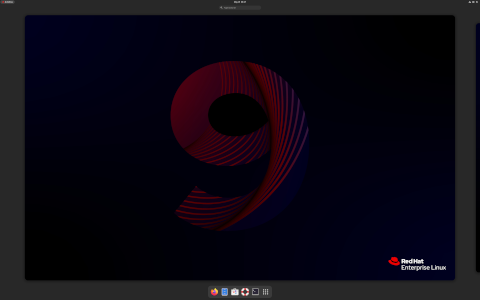 Red Hat has announced the availability of a beta release for the distribution's upcoming major release - Red Hat Enterprise Linux (RHEL) 8. The beta release focuses on security, Application Streams and Linux container technologies: "Red Hat Enterprise Linux 8 beta introduces the concept of Application Streams to deliver userspace packages more simply and with greater flexibility. Userspace components can now update more quickly than core operating system packages and without having to wait for the next major version of the operating system. Multiple versions of the same package, for example, an interpreted language or a database, can also be made available for installation via an application stream. This helps to deliver greater agility and user-customized versions of Red Hat Enterprise Linux without impacting the underlying stability of the platform or specific deployments." Further information can be found in the company's release announcement and in the release notes. 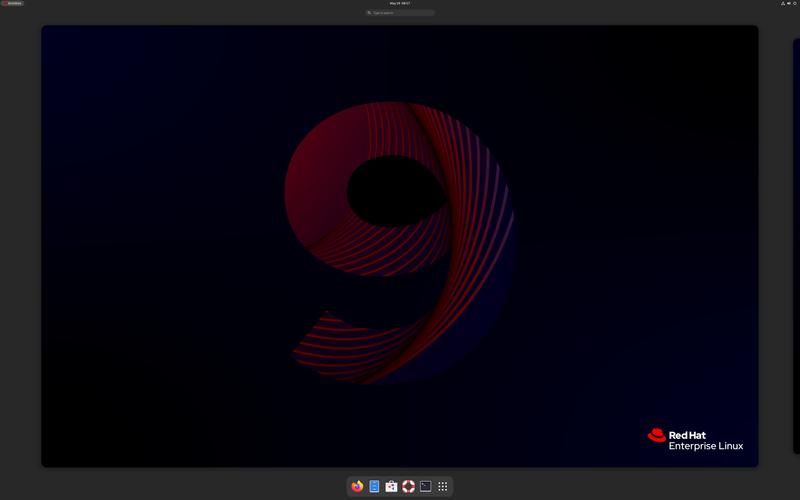 This beta release of RHEL 8.0 is available for public download and testing without registration: rhel-8.0-beta-1-x86_64-dvd.iso (6,642MB, pkglist). ISO images for IBM Power Systems Little Endian, IBM z Systems and ARM 64-bit are also provided. Red Hat, a Linux company freshly acquired by IBM, has announced the release of Red Hat Enterprise Linux (RHEL) 7.6. This is the latest update of the Linux distribution product targeted for deployments on bare-metal, virtual, containerised, private and public clouds. As usual, the new version comes with several security enhancements, including a brand-new "Trusted Platform Module": "IT security remains a constant, key challenge for many IT departments, and one that does not get easier in complex hybrid and multicloud environments. To better answer these IT security needs, Red Hat Enterprise Linux 7.6 introduces Trusted Platform Module (TPM) 2.0 hardware modules as part of Network Bound Disk Encryption (NBDE). This provides two layers of security for hybrid cloud operations to help keep information on disks physically more secure: The network-based mechanism (NBDE) provides security across networked environments, while TPM works on-premise to add an additional layer, tying disks to specific physical systems. Red Hat Enterprise Linux 7.6 also makes it easier to manage firewalls with enhancements to nftables, simplifying the configuration of counterintrusion measures and giving operations teams more visibility into these mechanisms." See the company's press release and the detailed release notes for more information. 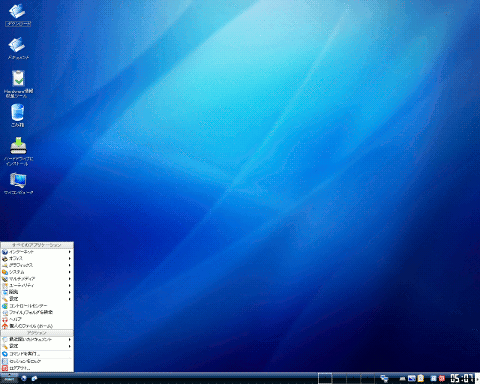 A 30-day evaluation edition of RHEL 7.6 for servers and workstation can be downloaded from the company's website. Red Hat has announced a new beta release of the company's Red Hat Enterprise Linux 7.x series. The new development release, Red Hat Enterprise Linux 7.6 Beta, includes improvements to security, management tools and Linux containers. The company's announcement states: "By using Trusted Platform Module (TPM) 2.0 hardware modules, the NBDE capability has been extended to provide two layers of security features for hybrid cloud operations: The network-based mechanism is applicable in the cloud, while the use of TPM on-premises helps to keep information on disks physically more secure. For better integration with counter-intrusion measures, firewall operations through Red Hat Enterprise Linux have been improved with enhancements to nftables. The nft command line tool can now also provide better control of packet filtering, providing greater overall visibility and simplified configuration for systems security. Red Hat Enterprise Linux 7.6 beta provides new default cryptographic algorithms for RSA and ECC, which help maintain FIPS compliance and stay current with cryptography requirements from NIST and other standards bodies, as well as organizations responsible for handling sensitive information." More information can be found in the company's release notes. Downloads are available through Red Hat's Customer Portal. Red Hat has announced the release of Red Hat Enterprise Linux (RHEL) 6.10, the latest version of the distribution's legacy branch with security support until November 2020: "We are pleased to announce the availability of Red Hat Enterprise Linux 6.10, the latest update to the Red Hat Enterprise Linux 6 platform. For nearly eight years, Red Hat Enterprise Linux 6 has carried our customers’ critical infrastructure because of the stability, reliability, and platform security that it can offer to the modern enterprise. Red Hat Enterprise Linux 6.10 marks the transition from the Maintenance Support 1 lifecycle phase to the Maintenance Support 2 phase. In order to help provide customers with a stable environment for the remainder of the Red Hat Enterprise Linux 6 lifecycle, only critical security fixes and business-impacting urgent issues have been addressed. Examples include the addition of retpoline-based mitigations for the Spectre/Meltdown vulnerabilities, an updated GNU Compiler Collection (GCC), and rebased gcc-libraries packages." See the release announcement and release notes for more details. Existing RHEL 6.x customers can update to this version free of charge, but potential new customers should probably consider testing the product's 7.x branch instead. Red Hat has announced the release of Red Hat Enterprise Linux (RHEL) 7.5, the latest update of the company's enterprise-class Linux distribution. The new version includes several performance improvements and easier access to system administration functions through the cockpit management system. "Red Hat Enterprise Linux 7.5 can help reduce the overall learning curve for new Linux systems administrators, troubleshooters, and developers by making complex tasks, like systems management, easier through enhancements to the cockpit administrator console. Provided as a simplified web interface, these enhancements are designed to eliminate many of the complexities involved with managing Linux-based systems, including network and storage set-ups. Additionally, new functionality and integration with Windows-based infrastructure is offered in Red Hat Enterprise Linux 7, including improved management and communication with Windows Server implementations, more secure data transfers with Microsoft Azure, and performance improvements for complex Microsoft Active Directory architectures." See the company's press release and the technical release notes for further information. A 30-day evaluation edition of RHEL 7.5 is available from Red Hat (registration required). Red Hat has announced a new beta release of the company's Red Hat Enterprise Linux 7.x series. The new development release, Red Hat Enterprise Linux 7.5 Beta, includes bug fixes and security enhancements across a wide range of hardware platforms. "Red Hat Enterprise Linux delivers controls for enhanced security and compliance built into the operating system, with Red Hat Enterprise Linux 7.5 Beta bolstering organizational-wide IT security efforts with: Security improvements and usability enhancements for cloud and remotely hosted systems that can more securely unlock Network Bound Disk Encrypted devices at boot-time, designed to eliminate the need for manual intervention in an often inconveniently-timed boot process. The integration of Red Hat Ansible Automation with OpenSCAP, which enhances the ease of automating the remediation of compliance issues and enables administrators to more efficiently scale policies across their environment. Compliance improvements for accurate timestamping and synchronization needs with the addition of failover with bonding interfaces for Precision Time Protocol (PTP) and Network Time Protocol (NTP)." More information can be found in the company's release announcement and release notes. Downloads are available through Red Hat's Customer Portal. Red Hat has announced the release of Red Hat Enterprise Linux (RHEL) 7.4, the latest update of the company's enterprise-class Linux distribution. This version focuses heavily on mitigating current IT infrastructure threats: "Red Hat, Inc. today announced the general availability of Red Hat Enterprise Linux 7.4, the latest version of the world's leading enterprise Linux platform. Red Hat Enterprise Linux 7.4 offers new automation capabilities designed to limit IT complexity while enhancing workload security and performance. This provides a powerful, flexible operating system backbone to address enterprise IT needs across physical servers, virtual machines and hybrid, public and multi-cloud footprints. As threats to IT infrastructure evolve, enterprises require more security innovation in their software stack to help prevent breaches and more proactively manage vulnerabilities. This innovation starts at the operating system level, and Red Hat Enterprise Linux 7.4 brings to bear new and enhanced features." See the official press release and the technical release notes for further information. A 30-day evaluation edition of RHEL 7.4 is available from Red Hat Customer Portal (registration required). Red Hat has announced a new beta release of the company's Red Hat Enterprise Linux 7.x series. The new development release, Red Hat Enterprise Linux 7.4 Beta, includes bug fixes and a few new features for the 7.x product line. "Year over year, security remains a top concern for IT professionals across industries. To help defend against the latest threats and provide a more secure platform for mission-critical deployments, Red Hat Enterprise Linux 7.4 Beta introduces several new security features, including: Support for Network Bound Disk Encryption - tooling designed to reduce the management burden of disk encryption at scale. Enhancements to OpenSSL HTTP/2.0 - enabling several new Transport Layer Security (TLS) protocol features to be implemented in OpenSSL, such as Application-Layer Protocol Negotiation (ALPN). Updated audit capabilities - designed to make it easier for administrators to filter the events logged by the audit system, gather more information from critical events, and to interpret large numbers of records." Additional information can be found in the company's release announcement and in the release notes. Downloads are available through the Red Hat Customer Portal.